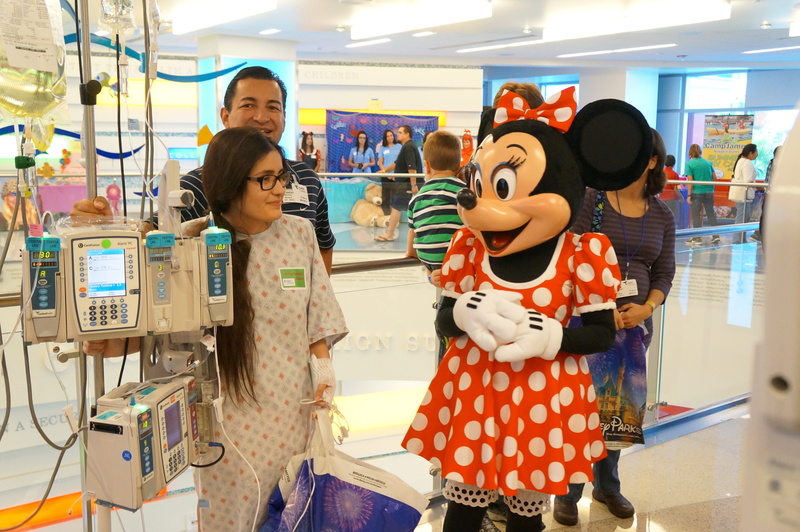 Last week, Minnie Mouse, went up the elevator at CHOC Children’s Hospital to surprise the children currently in the hospital. As she went knocking on their hospital doors, she gathered all the children to bring them down to the second floor of the hospital for the Minnie Walk at CHOC Children’s Hospital. 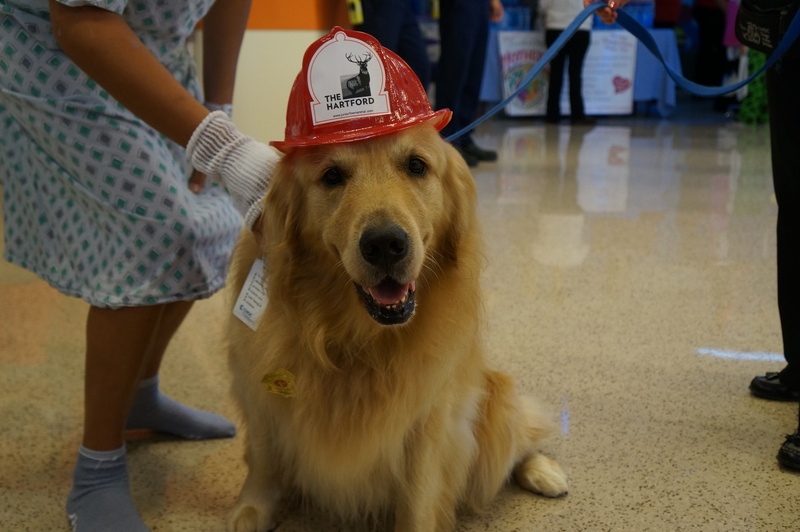 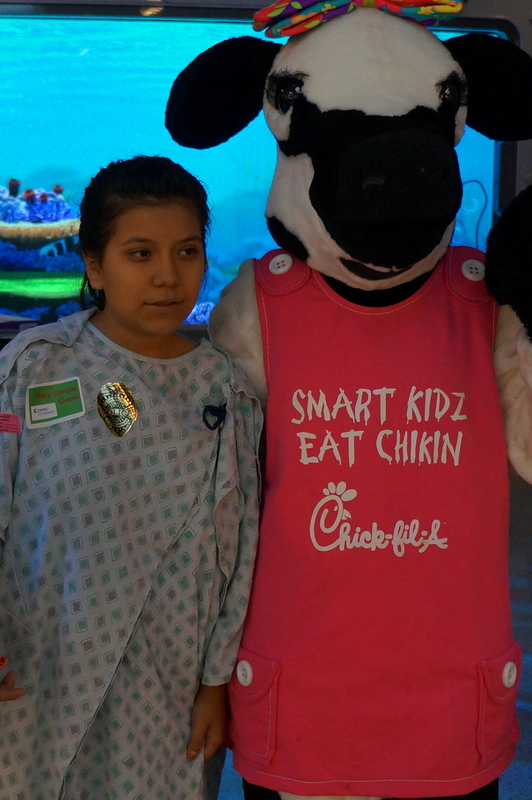 As the elevator doors opened, the children got a chance to experience their own CHOC Walk right inside of the hospital. All of the sponsors for the CHOC Walk were there to greet them with special gifts, games and love as children, and their families made the small walk around the second floor of the hospital with Minnie Mouse. 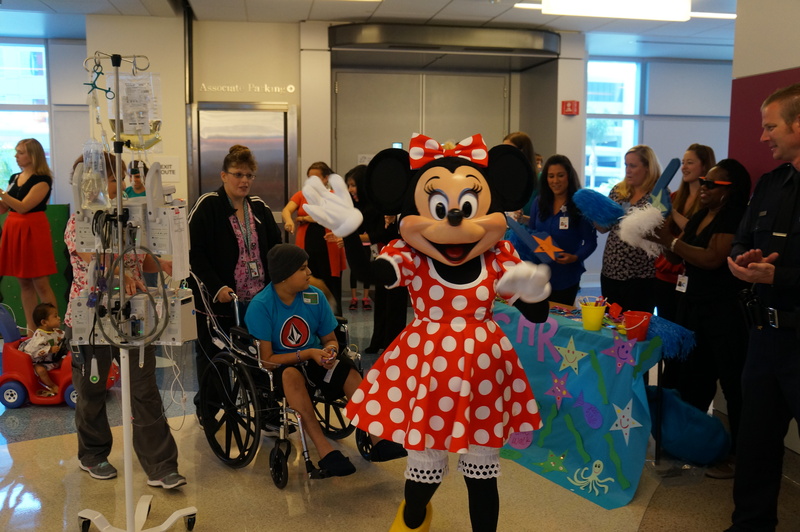 It was a heart warming day as these children, who would love to participate in the CHOC Walk at Disneyland Resort, had an opportunity to have their own special Minnie Walk. Farrell’s Ice Cream Parlour, was there serving up ice cream and tunes, while the Chick fil-A cow was hugging everyone who walked by him. 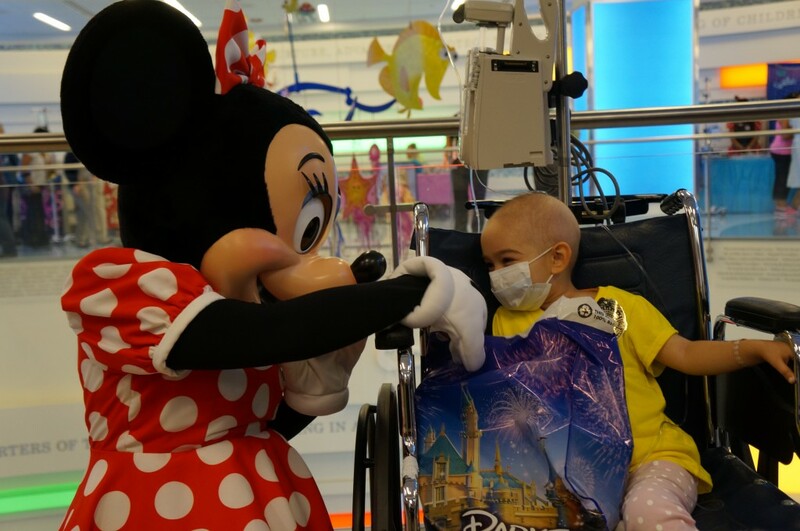 It was a special day that the children will never forget as Minnie Mouse sprinkled them with Disney magic before bringing them back to their rooms. 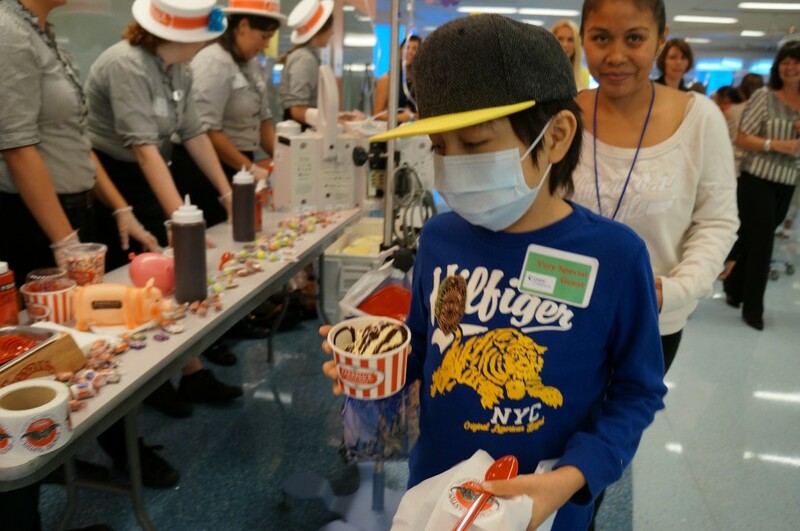 The CHOC Walk is the largest pediatric walk in the Nation, raising $2 million dollars for CHOC Children’s Hospital last year. 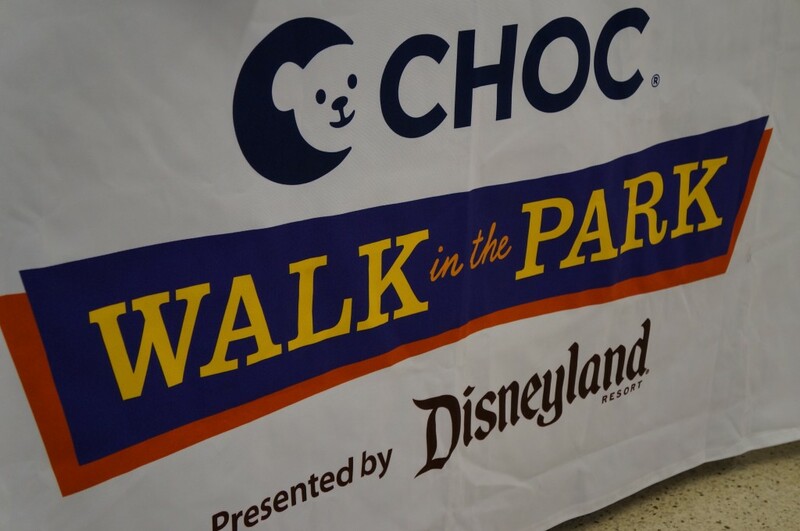 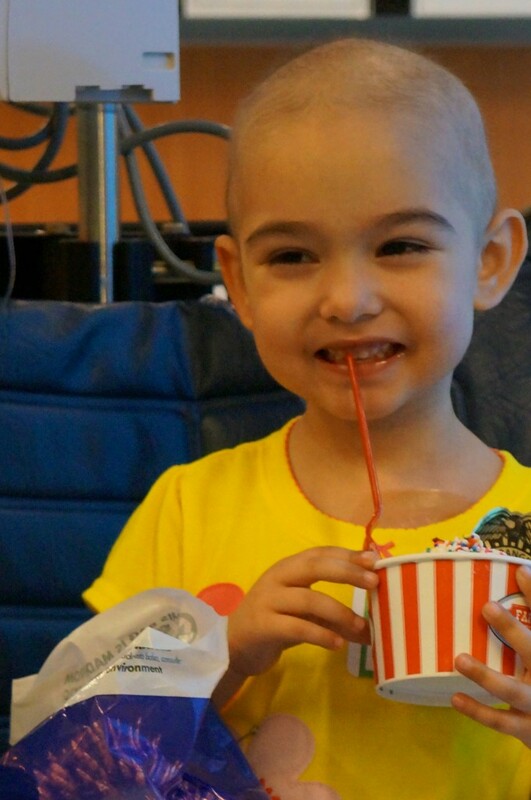 Families are invited to register for the CHOC Walk at Disneyland Resort on October 13th.